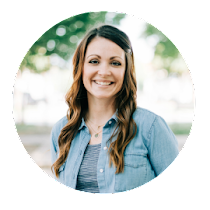 Have you ever wondered how to give a money gift without shoving a few bills in a card? As my nieces and nephew get older, I have a hard time figuring out what to get them for their birthday's and Christmas. On top of that, they live on the other side of the country, so shipping can get expensive. I know for sure there is something they will always like...cold hard ca$h! I've given them a twenty in a card plenty of times, but that is boring. So this year, I sent birthday balloons. 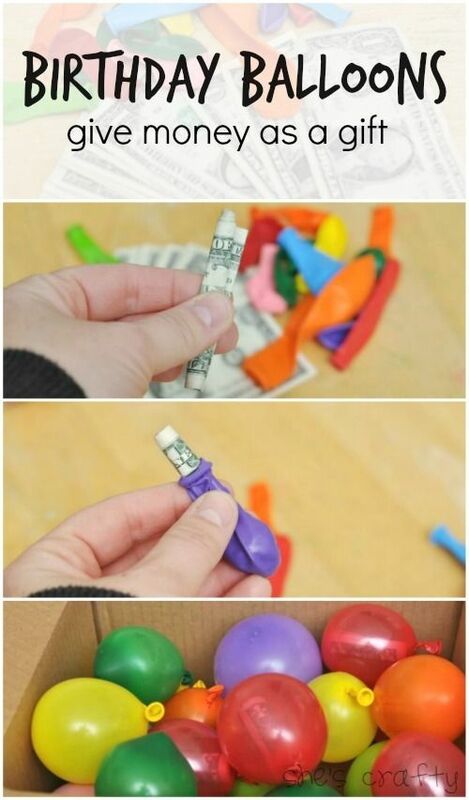 I used latex balloons and 20 $1 bills. pushed it into a deflated balloon and put a little bit of air into each balloon. Then I gathered all of the balloons into a cardboard box, closed it up with a birthday card and sent it off. (I know USPS really frowns on sending cash through the mail, so use your discretion) I think my nephew was pretty happy with his gift. This is so stinkin cute!! (said in my best Texas accent!!) Going to borrow this idea for my nephew tomorrow! What a fun gift to receive (and to make)! That is SO fun ... what a great gift to receive! Hi, great pics of balloons, i love red balloons the most. They can be spotted easily from afar. Balloons can make one happy. Printed BalloonsThank you. Best idea ever!!!! So fun!!! I'm totally doing this for my niece's birthday next month!!!! It would be fun to stick some little dollar store prizes in some of the balloons, too. Great great! I love this idea! SO much fun! saw this post on Pinterest. what a fun idea!! it's better for older kids, though. popped/deflated balloons are choking hazards for little ones. I'm sending this to my aunt...she loves doing gifts like this! She has given my stepson a book with 20 $1 bills spread through the pages, another 20 $1 bills individually wrapped, etc. She'll LOVE this! Monday is my son's and my niece's birthday and this is a great present!!! I LOVE the idea!! I saw your idea on pinterest! SO CUTE! I love it! such a great thing to mail! It's like a party in a box trying to get your money! I totally am going to do this with my nieces! 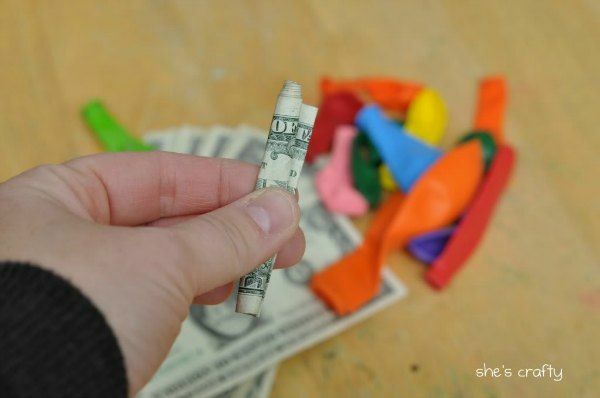 I have blogged about a similar idea for a balloon game with your kids! I saw your idea on Pinterest, too. Now I"m finally excited to send a gift to my nieces who are so hard to buy for because they already have everything. Thanks for a fun idea! I did something similar to this for my 5yr olds birthday... I actually fit lemon sized Angry Birds in the balloons... it is really amazing what you can actually squeeze inside a balloon!!! And Kids love it! Thanks for the great tip on mailing this as a gift... will be doing soon for my niece! This is a great idea but be careful what size box you use. I did this for my niece's birthday and was told it was too big for Priority Mail. If I had done Parcel Post it would have taken a week and the balloons would have deflated. I ended up repacking about half the balloons in a Priority Mail Box. Thanks for the idea! I am doing this for Mother's Day.. going to stick her favorite candies inside and the grandkids are going to fill the rest up with notes and drawings! OMG, that's brilliant!!!!! I can't wait to do this for my son's friends' birthdays! I have a long distance niece, and I am SOOOOO doing this!!! Thank you for the excellently awesome idea! 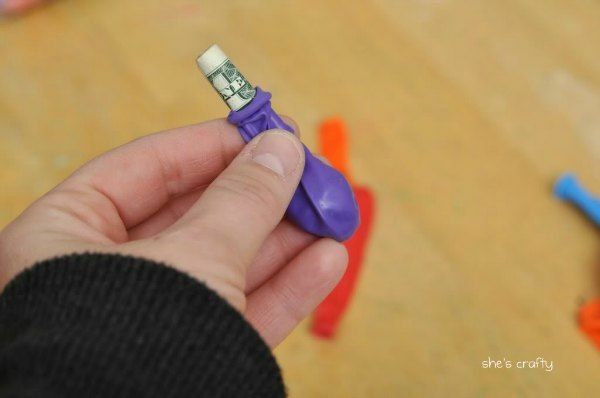 I saw this and immediately wanted to do it for my grandkids but I asked people at two different post offices about it and they said, even though there wasn't anything saying you COULDN'T send balloons through the mail, they didn't feel it was wise. 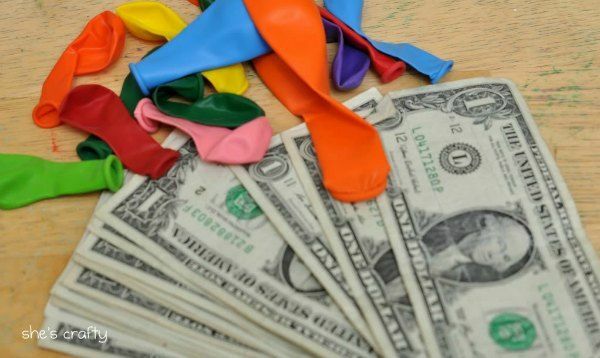 If change of temperature or other conditions would cause one or more balloons to pop, it could cause quite an incident either at the post office or in the delivery truck. Just an FYI. Not sure where you are, but priority mail isn't normally more than $9.00. You may have sent you package Priority Express, which is around $35. Priority mail is 2 day shipping and Priority Express is over night shipping, too much money, I agree. I used balloons for packing material after I saw this, it will make opening the box so much fun. 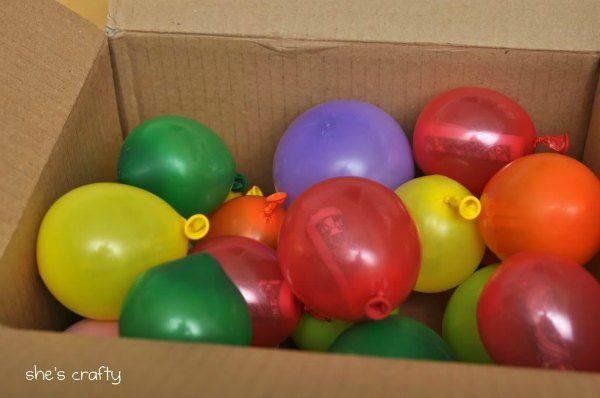 It was a small package so I used little water balloons filed with air. I also loosely lined the box with metallic tissue paper. Thank you for sharing this idea. I've used it for my little niece's birthday gift. I'm not sure how much the money thing will go over for a 4 yr old but I'm sure she'll love receiving the big box and dumping out all the balloons! LOVE IT! Even though everyone i am going to use this with is local...still super FUN! For my niece next week i am buying regular balloons and these light up ballons that i just recently discoverd (@walmart) and going to put different things(including $$) in the ballons ( light weight objects of course) and then fill with helium and when she opens the box (indoors and ribbon tied to balloons) they will float out and make her chase them all down :) not to mention just the WOW factor and the surprise of everyone watching! Going to me AWESOME! Thank you pinterest ...ive always been the favorite Aunt but now im becoming the favorite with *Fun & exciting gift presentation! Hoorahh! Thank you for this inspiration! I have a friend having surgery this week and am filling balloons with sweet messages from all of her friends. Your idea is a great way to cheer up someone's day! This is amazing and creative idea. Everyone like your idea and your balloon gift. Thanks for sharing such a nice and cute, unique birthday gifts idea. Really i liked it. Helium would make them fly out! Party time! Wow!! This is amazing ideas to surprise my friend. I can add anything in balloons.